DALLAS (AP) — About 200 works of art from a Jewish lawyer’s collection that were spirited out of Nazi Germany to the U.S. are going up for auction. 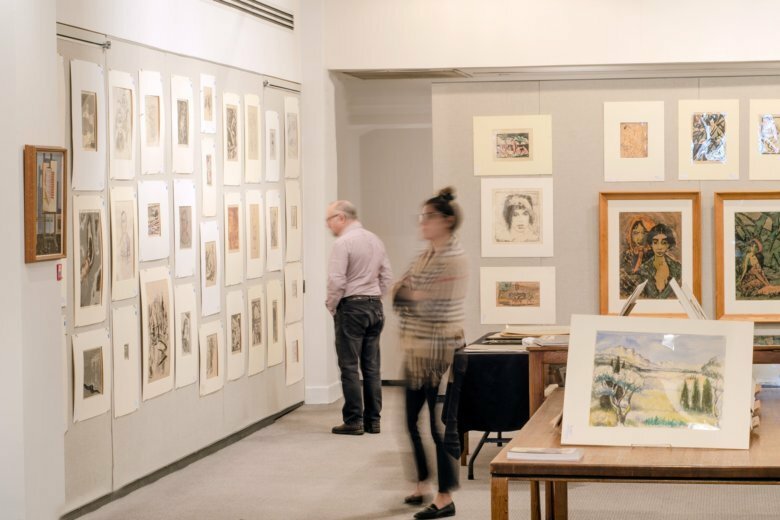 The works collected by Ismar Littmann being offered Tuesday at Swann Auction Galleries in New York are mostly drawings, etchings and lithographs. They were once part of a collection of about 6,000 pieces he amassed. The works being auctioned are pieces brought out of Germany before World War II by Littmann’s son, who eventually settled in Texas. But with the Nazis in power, restrictions on Jewish lawyers led to the demise of Littmann’s practice. He killed himself in 1934. His son, Edward, who changed the spelling of his last name to Littman, immigrated to the U.S. in 1933. He returned to Germany after his father died and was able to ship around 800 works back to the U.S., said Edward Littman’s son, John Littman, 61, of Houston. John Littman says there’s no way to know how much of the collection, which had a focus on German Expressionism, still exists. He says some pieces were confiscated, some destroyed and some sold under duress. The auction house notes that when Ismar Littmann’s widow consigned about 160 works to a Berlin auction house, the Gestapo seized 64 of the works — 11 went to a museum and the rest were burned. John Littman said his father, who died in 1970, built special cabinets in his attic for the artwork. “He spent a lot of time with the collection through the years,” he said. “It was very personal to him,” Littman said.